Never judge a book by it’s cover and never judge a man by his title. Chad Barr, although well known for his expertise in software and building Global Digital Empires also happens to be an incredible musician and guitarist. 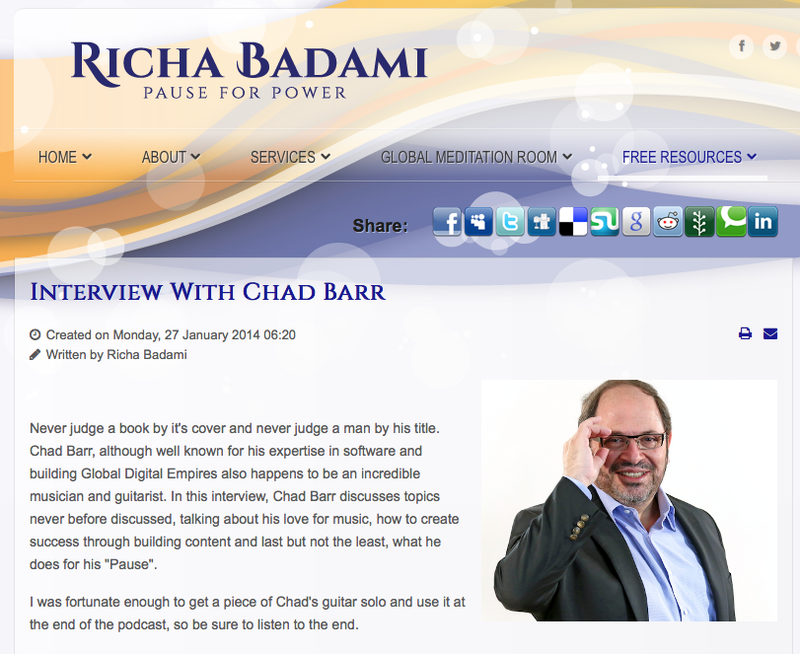 In this interview, Chad Barr discusses topics never before discussed, talking about his love for music, how to create success through building content and last but not the least, what he does for his “Pause”. Listen Now.